Kim is a Senior Manager at Charlie Elliot Wildlife Center. Kim has a Bachelor of Science degree in Biology and Minor in Environmental Science from State University of New York at Geneseo and Masters of Science in Biology-Aquarium Science from the University of Maryland. 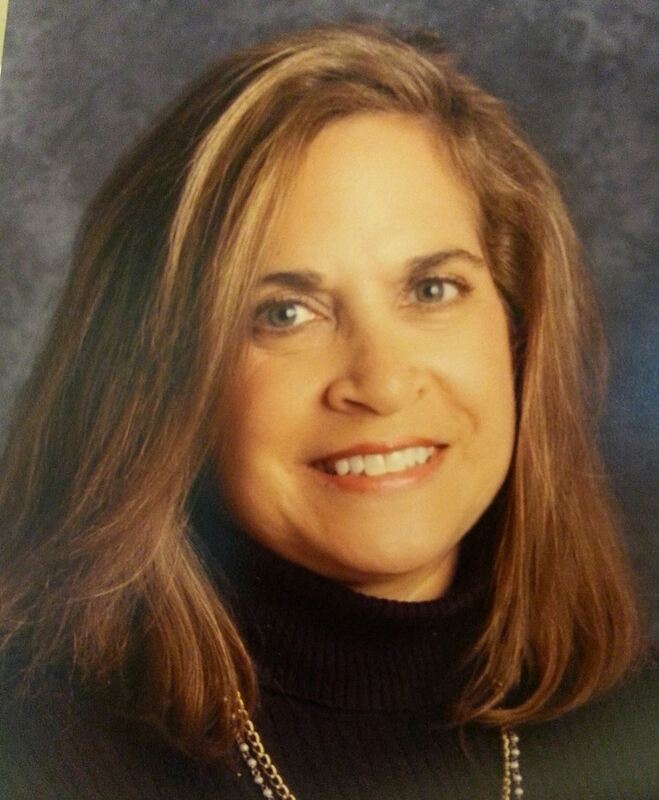 In addition Kim has is a Certificate in Environmental Education from UGA. Prior to joining the Georgia Aquarium in July 2005, Kim worked with the Department of Natural Resources Environmental Protection Division's Adopt-A-Stream program training citizens, teachers and students in water quality monitoring and coordinating the annual Rivers Alive water way cleanup program. Kim also worked at Zoo Atlanta as their Distance Learning Manager and the National Aquarium in Baltimore as their Conservation Coordinator. For the last twelve years Kim has served on the Environmental Education Alliance of Georgia's Board and Advisory Board guiding this professional organization as a leader in environmental education for the State of Georgia. Current Kim is serving as Co-chair of the Advanced Training for Environmental Education in Georgia Program which provides training to formal and non formal educator about environmental education. 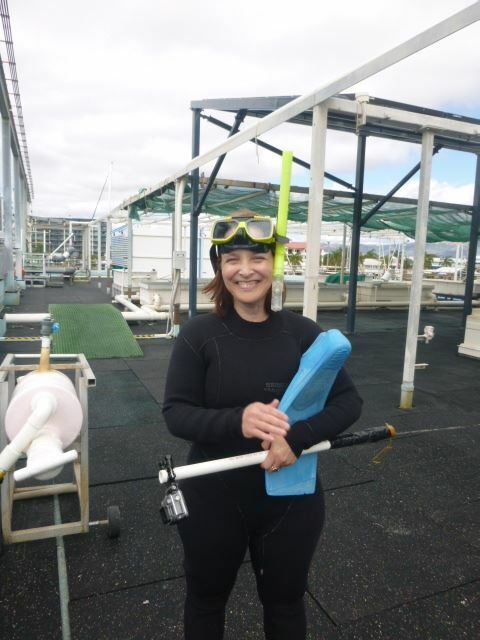 Kim has also been a member of GAME for the last ten years, serving on the 2008 NMEA conference committee. 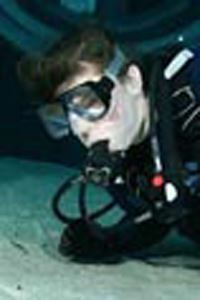 Erin Mugge moved down to Georgia in 2008 from Iowa, not only to steer clear of snowy winters, but also because she wanted to teach about the marine environment. She received a B.S. in Zoology at Iowa State University and a M.S. in Environmental Education and Interpretation from University of Wisconsin-Stevens Point. She has been teaching informal environmental education her entire career. Erin is currently the Education Director at Driftwood Education Center on St. Simons Island, and her favorite things to do are teach on Cumberland Island and take care of all the teaching animals. She lives in Brunswick with her husband, corgi dog, and two spoiled cats. Adam is a Georgia native and has been working on the coast with the Georgia Department of Natural Resources' Nongame Endangered Species Program and the Sapelo Island National Estuarine Research Reserve for the past 17 years. Adam and his wife Jan met while studying sea turtles on Wassaw Island. Adam has two children and currently lives on St. Simons Island. Over the last 15 years, Alicia Shell has taught her way down the Atlantic Coast. Originally from Long Island, New York, Alicia graduated from Allegheny College in Meadville, Pennsylvania with a bachelor's degree in environmental science and continued her education at Duke University, North Carolina. Here she earned a master's degree in Coastal Environmental Management, with a focus on Latin American and Caribbean Studies. While at Duke, she also became a certified Environmental Educator through the North Carolina Department of Environmental Education. Formerly as the Education Coordinator of the Georgia Sea Turtle Center on Jekyll Island, Alicia created and maintained a comprehensive education program, including on site and outreach programs for students of all ages, as well as underserved and underrepresented audiences. She has an undeniable passion for conservation and education and has always enjoyed working with young children. Alicia currently works at the United Methodist Church on St. Simons Island, where she is a lead teacher for the Ones/Walkers. She also tends the nursery at First Baptist Church. Paul is a life-long resident of coastal Georgia growing up fishing, boating, and exploring the coastal area. From lifeguarding on the beaches to Scuba diving the offshore waters coastal Georgia has always been home. After attending school for while at UGA it was the sirens song of the ocean waves and the smell of the marsh that brought him back home to the coast. Paul has in BS in Biology from Armstrong Atlantic State University in Savannah. 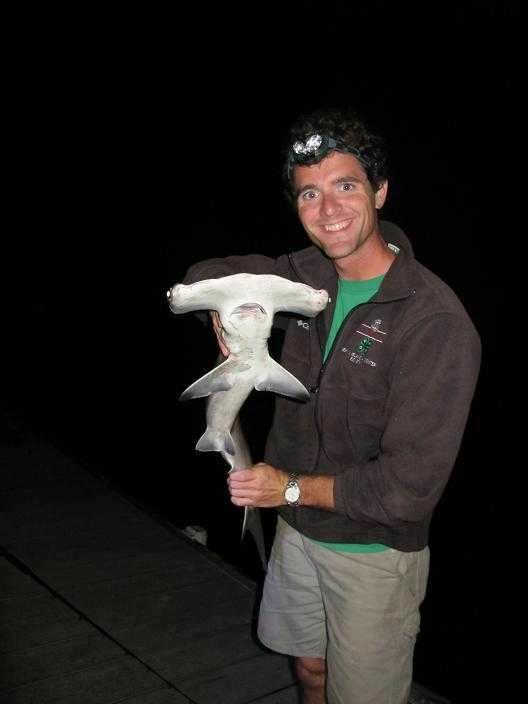 Beginning work in 1994 with Coastal Resources of DNR, Paul has worked on a variety of projects from fish tagging studies to underwater surveys. 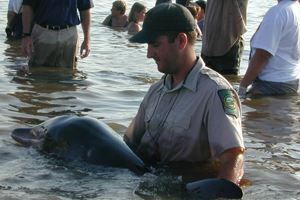 In 2006 Paul accepted a position as the Marine Education and Outreach associate for Coastal Resources. Through this position Paul coordinates the Know The Connection public outreach and education campaign, visits schools to teach about marine fisheries management, and conducts other public outreach activities. 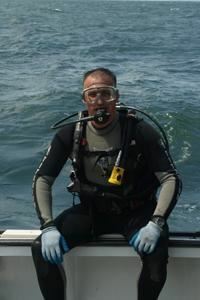 Paul also enjoys fishing, sailing and SCUBA diving the coastal waters of Georgia with his wife and three boys. Beth Palmer grew up on Lake Oconee near Eatonton, Georgia. She traded the small fresh water lake for the vast salty ocean. Beth graduated from Armstrong Atlantic State University in Savannnah with a Bachelor of Science in Biology in 2009. Currently the program director for the Tybee Island Marine Science Center, Beth has been interpreting at the science center since 2010. When not teaching, Beth enjoys watching movies with her boyfriend Stephen and their adopted fur kids, a cuddly siamese kitty named Joker, a rambunctious orange tabby named Huxley, and a sweet, playful puppy named Mia. Katie grew up in Ohio, playing in the woods surrounding her house, climbing trees and catching frogs. She has lived on the Georgia coast for a little more than six years and is now a marine educator and the volunteer coordinator for Marine Extension and Georgia Sea Grant working out of the Marine Education Center and Aquarium on Skidaway Island. Katie is an avid birder and reader, loves to garden, bake and tend her small flock of chickens. She is the mother of two bright and eager daughters who she loves to expose to all things outdoors. She graduated from Portland State University in Oregon with a bachelors of science in biology and has a masters of art in zoology from Miami University of Ohio. Debra Power graduated from the University of New Hampshire with a degree in Environmental Conservation and Option in Environmental /Outdoor Education. For nearly 15 years, she worked as an outdoor educator, naturalist, program director and owner / director for various organizations from the coast of Maine to the Florida Keys. This included being employed with the northern Virginia Regional Park Authority and the Georgia Department of Natural Resources as an Interpretive Naturalist. Debra was also a co-founding president of the Georgia Citizens for Integrity and Science Education, a grassroots organization formed to preserve science curriculum and advise the State Board of Education in Georgia. 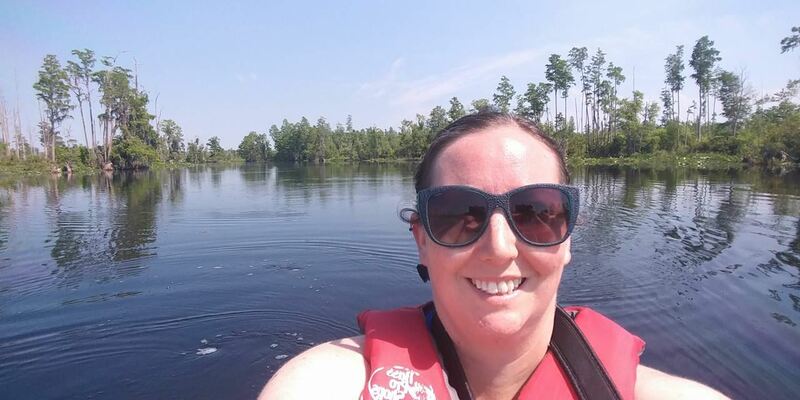 She received her teaching certification from Georgia State University, a STEM Education Ambassador Certificate from the NASA Endeavor Collaborative, and is currently an elementary science teacher for Virginia L. Heard Elementary STEM Academy and summer educator for the Oatland Island Wildlife Center in Savannah. A lifelong volunteer, Debra logs hours with the Friends of the UGA Marine Institute on Sapelo Island, the Georgia Aquarium, and the Georgia Sea Turtle Center, and GAME. In 2017, she was honored as one of ten recipients of the Outstanding Educator award by the 100Miles Organization in Brunswick. Richard Chewning is the Director of Camp Jekyll and the 4-H Tidelands Nature Center on Jekyll Island. He is originally from Griffin Georgia and earned his Bachelors of Science in Biology from Furman University in Greenville SC. He has spent the last 13 years working for University of Georgia College of Agriculture and Environmental Sciences Georgia 4-H Program on Jekyll Island serving in multiple positions: 4-H Environmental Educator, Assistant Coordinator For Environmental Education, Program Coordinator, Program Specialist, and Director. He enjoys fishing, gardening, and riding his bike with his wife Stephanie. Richard serves as a volunteer with Georgia Sea Turtle Center, Georgia 4-H Advisory Committee, and Georgia Coastal Educator Group. He is excited to serve on the board of GAME.